This is the last commission I did before Christmas. 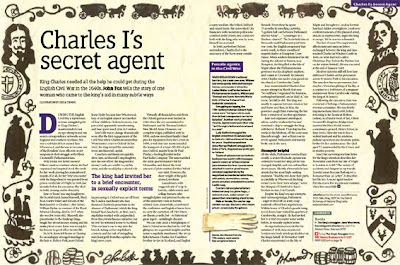 It's for a BBC History Magazine article on Jane Whorwood, a "secret agent" who helped smuggle merchant gold to King Charles during the civil war. It will appear in the February issue.